If there's nothing you hate more than taking off your makeup, then this is for you. Surely you've tried a makeup remover before that made your eyes sting like crazy. Fret not, friends. You don't need to be punished anymore for your makeup wearing ways. Below are a few favorite makeup removers that we absolutely love. We're also happy to report that they're fantastic for sensitive skin or eyes. Enjoy! 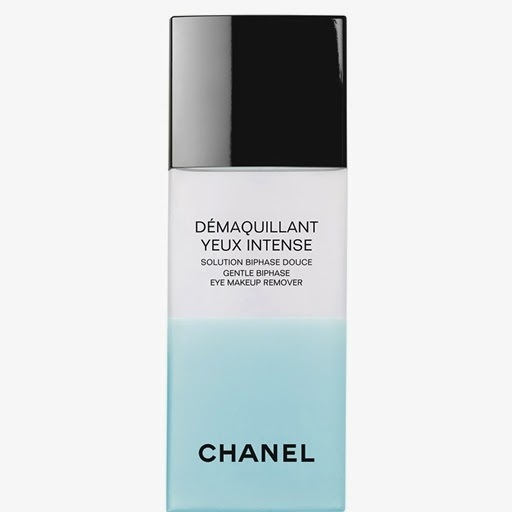 Chanel's amazing makeup remover can even take off waterproof makeup and that's really saying a lot. 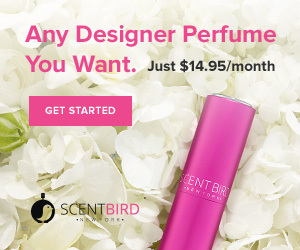 You'll enjoy the price point and that it contains soothing rose water extract. Don't forget to gently shake before applying to your cotton pads. 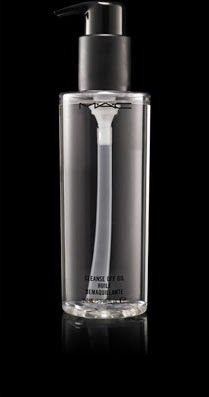 MAC Cosmetics makes a mean cleansing oil that is not only a makeup remover, but also a facial wash for sensitive and dry skin types. MAC also makes it in a travel size which is available through their online website for $10. To properly use the product, apply the oil to your made up face, and start rubbing it in. Next, splash some water on it to take it off. Voila! No more oil. The second this product mixes with water, it becomes a milk. Also, if you live in a snowy area of the world, you should really try this product as your face wash. It's amazing. Furthermore, if you happen to wear theater stage makeup, longwear lipsticks or even face paint quite regularly, this product can take off anything in its path. "Oh, it's an oil. I don't want an oil on my face!" Hold on a second right there. In order for something to be waterproof, it needs to fear water. What does that better than something that contains an oil? Oils also do an effective job of breaking down other oils. Period. You are an avenging Marvel comic meanwhile your waterproof makeup is clearly forming a Justice League on your face. Your epic beauty battle rages on. Sometimes if you strip your skin of the oil it needs to stay healthy and function, it can have a reaction and produce more oil than there was in the first place. Again, a lot of this depends on your skin type and most times figuring out your skin care still takes several trials and errors. Skin also changes as the seasons change. Wah. Wah. Wah. 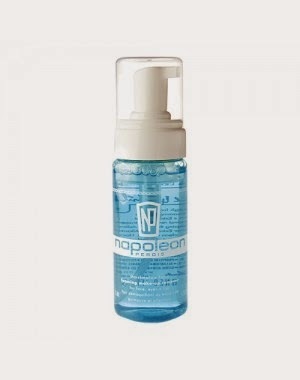 Napoleon Perdis makes a foaming makeup remover that is really gentle. You also have the option to either rinse or just tissue it off. It smells like marshmallows and contains allantoin, which leaves the skin really soft. This foam is also a vendor favorite among myself and my makeup artist counter friends. It doesn't matter what line we're all working for that day. We all love it. Who would of thunk it, right? Surely you even have some on hand this very second. Try it! I do like to wash my face afterward, though. Furthermore, you can use olive oil all over your body and hair and helps several skin conditions such as eczema and psoriasis. 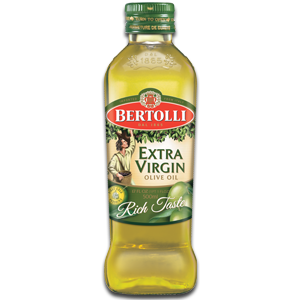 Olive oil is rich in vitamins as well. The more you can slather yourself with this natural product, the better. Let's say you accidentally got some dark eyeshadow falloff under your eye right after you did your foundation. Or, maybe you completely missed your eyeball only for your mascara wand to attack you like a crazy raccoon. 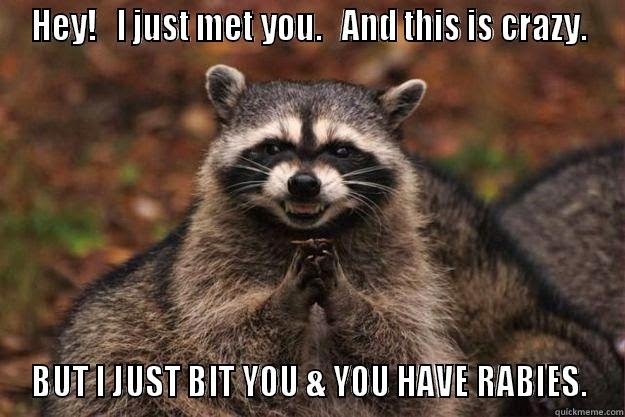 Avoid raccoons at all costs. That's advice number one. 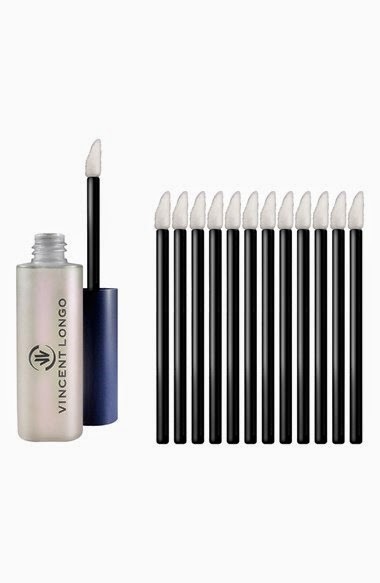 Advice number two is to fix your minor makeup flubs with Vincent Longo's Olive Oil Fix Tips. Infused with Vitamin E, there is no need to rinse the skin in order to reapply particular makeup products. Yay! It's not your best makeup look to resemble this miraculous mammal. Avoid the makeup raccoon at all costs, friends. Make mistakes! Play! Try different things. In the end, experimenting is the only way to perfect how you like your makeup to look. No one was ever born a makeup artist yielding a professional tool belt. It's a learned art. Most makeup artists have simply had the opportunity to touch more faces on a consistent basis to perfect their art. You can do it and I have faith in you. Can I get a holler for gentle makeup removers? Bae, by the way, we think means girlfriend or baby. We're at this point not really sure. Where's Justin Bieber when we need him to learn something significant? Seriously. Swag. 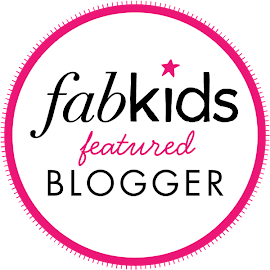 If there was one thing you could tell everyone regarding your blog, what exactly would it be? I don't know a ninja that could cover for me. I'm not trying to find nobody else to beat. Are you the same meeting you in person versus your writing style? Absolutely not. Most would probably say I'm extremely boring yet professional in real life. I also show up at Walmart dressed like a role model for peopleofwalmart.com occasionally. But that's neither here nor there. What over-the-counter beauty products are you just dying inside to try? My kids. Family. God. Bettering society through making people laugh and feel better about their uniqueness. The same things that you do. Everyone has a gift. People are so serious and the news channels are depressing. I also value beauty and/or makeup because it makes me feel better about myself personally. I'm not too crazy. Beauty can't make you have a pretty inside unless you eat the makeup anyway. A wise man bird said that once... I swear. Why all the weird Twitter accounts? You know what? 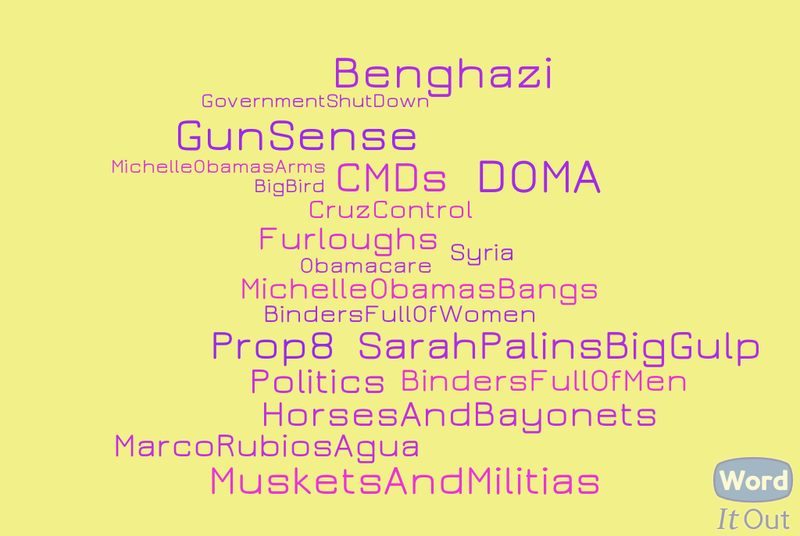 I love America and trust me when I tell you that all hashtags are relevant. They're stand alone money makers. Some sell their tweets or entire accounts. Not saying that I'll ever do the same. However, they do have value and I feel like managing people's comments is not only awesome, but is also my declaration as to why I love America in the first place. It's my own personal social experiment that will show the world why exactly social media is important. Quick. Someone give me a blog reality show & I'll broadcast the coolness based on something actually intellectual and the viewers might learn something awesomely valuable as a result. 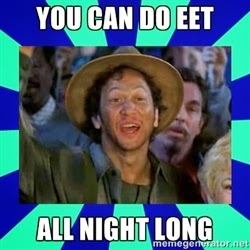 I'm also here to show other genius people that they can do eet, Waterboy. Don't read me if you have a problem with me expressing my Constitutional Amendment to free speech. That's the beauty of the USA & the very least thing I can do to express my love for our country & military. If it wasn't for them supporting a democratic system, I couldn't sit here typing on my computer to tell you how I feel. While I might not be curing cancer, I am spreading tons of love. You never know what your one Twitter interaction could mean to someone. That, my friend, is awesome sauce topped with awesome sauce, just stated the founder and owner at the Department of Redundancy Department. What do you want your readers to do this exact very second? Live long and prosper, Party Spock. Work hard so one day you can play hard. Make it rain eventually. The economy still stinks and don't let someone else's ignorance dictate who you're destined to be one day. Whoa-man and don't marry an axe murderer. Work on yourself. Don't forget that we have less horses and bayonets than we did in 1916. Now get this work, my Iggy. These are fab rules to live by, friends. Not only are booties timeless, but they also work around the entire year. For on-point fashion, pair your booties with skirts, dresses, skinny or boot leg jeans and leggings. 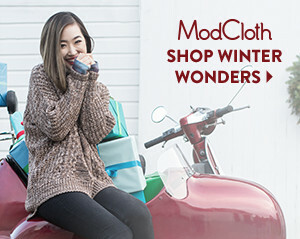 Shop the booties above by clicking here and don't forget to look at more than just the shoes! 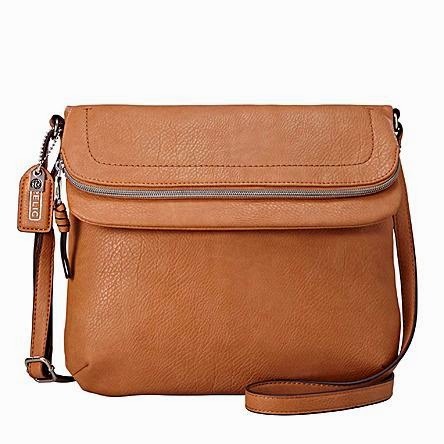 JustFab has some great transitional items in stock right now as well. Versatile dresses, jeans, handbags and jewelry can help you plan your style for Fall without having to spend a fortune on updating your look. 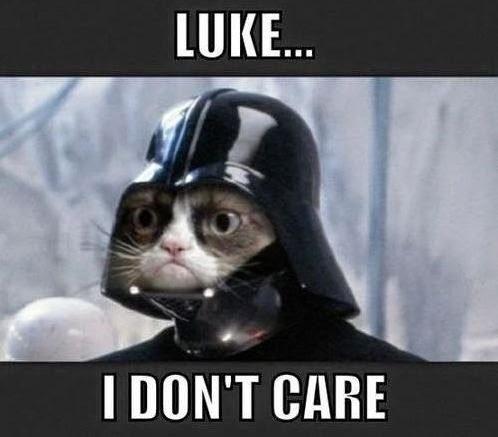 This is sooo, sooo funny. Several news reports like this one and this one below are voicing the people's desire to be ruled by someone who uses the force... Darth Vader for President! e) don't tell me you don't have a secret unicorn obsession. For real, let's get honest. Our vote is for Yoda for President. Clearly he's diplomatic, peaceful yet can fight using the good force and would spawn a ton of cuteness with that whole people trying to talk all backwards-like thing. Glass ceilings have got to be breaking by a cosplay woman throwing a mjolnir who can also steal your cat. If you had your choice, we want to now know whether or not you prefer Lady Thor or Yoda for Whoa-Man President. Comment! Comment! Comment! Finally, Comic-Con is this weekend. Yay! Be sure to watch the Twitter search feeds for some sure-to-be-cool cosplayer pics. Public service announcement one is that a cosplayer can be defined as a person who dresses up in costumes, enjoys doing so and occasionally but not always role plays. Sears introduces the Seventeen Fashion Collection! There's so many cute items and they're classified by your personal style. we've all been waiting for! Kellan Lutz just made his ultra-comfortable women's clothing line available online. This is in addition to his already existing men's line. I don't know about you, but I want all of it. Heck, I'd live in it and never take it off. Then, I'd sport it erstwhile watching The Expendables 3 this August. 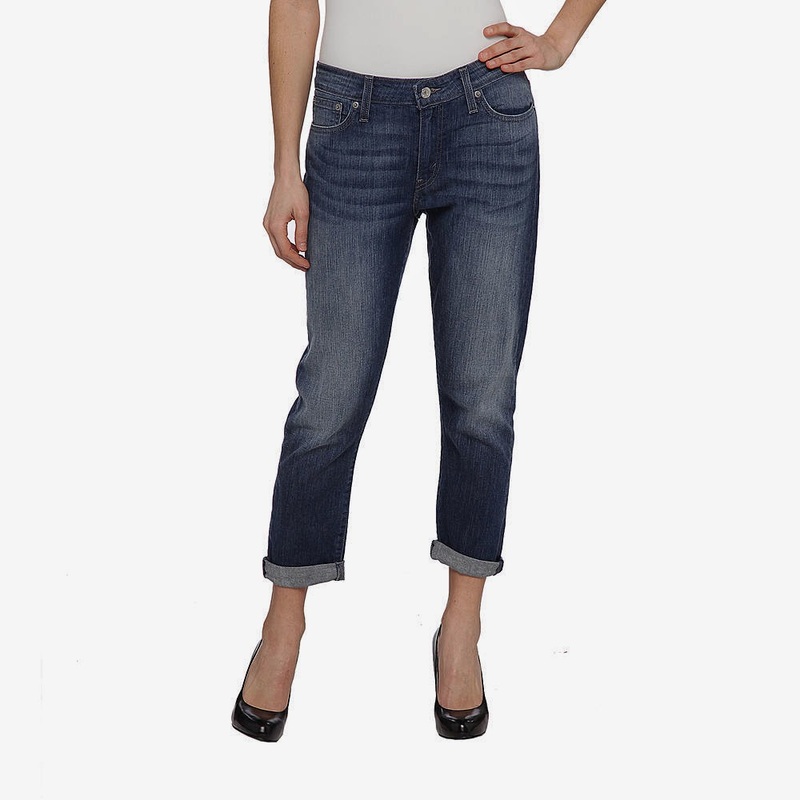 Known for its beachy feel and buttery soft fabrics, Abbot + Main is perfect attire for a cool, Summer night. Shop Abbot + Main here. Want to know more about Abbot + Main's men's line? Chrissy Teigen goes on a date night with John Legend in West Hollywood. it up post workout in LA. First off, if looking at Brooke's abs doesn't make you want to run to your closest gym to replicate her envied rock-hard body, then none of us even know what's wrong with you. Let's just start this conversation, then end it with calling in a psychiatrist who specializes in the abnormal. Brooke Burke-Charvet was spotted out in Los Angeles with a gal pal. The television personality and designer sported the “Andrea” leggings from her Caelum collection after a strenuous workout. Our verdict is that they're way cute! Imagine how many sports bras and tops these leggings could match. Grab Brooke’s sporty look with these floral print leggings for $64. will be available at Nordstrom in stores September 2014. Red lips are hot. Red lips are classic. Red lips were also recently voted the most iconic beauty trend ever. 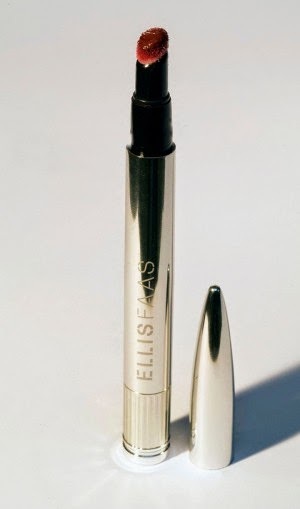 Any who, when shopping for your perfect red lipstick, shop no further than Ellis Faas Cosmetics. Ellis has a philosophy that regardless of your gender or race, we all have the same human colors which exist. Her red lipsticks are highly coveted, celebrity-worn, cult obsessions which support her makeup theories. From the very second you put these colors on, you come to realize that this makeup artist knows what's up in the flattering department. Vogue Paris cited Ellis Faas as "one of the most influential make-up artists of her time". And indeed, she has worked with the world's most pre-eminent fashion designers, photographers, stylists, hairdressers and models. Ellis’ work has been published on the covers of the world’s best-known fashion magazines. Additionally, Ellis has worked for make-up brands, such as Clinique, Lancôme and MAC Cosmetics – and she was asked by L'Oréal to create a make-up line for their skin care brand, Biotherm. After the contract with L’Oréal ended in 2007, the way was paved for her to create her own brand: ELLIS FAAS. Ellis reds retail at a comfortable $35 and she makes a lip texture for your every mood. Once you try one on, you'll become a huge fan as well. We promise! Creamy Lips L101, "Ellis Red"
Milky Lips L201, "Ellis Red"
Glazed Lips L301, "Ellis Red"
ELLIS FAAS - The only red is Ellis Red from ELLISFAAS on Vimeo. As much as we love Summer in New York, we also love the Kardashians! 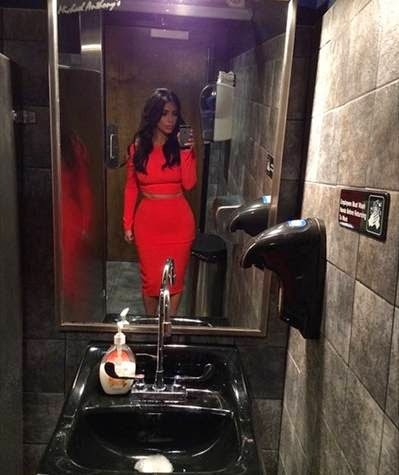 Who got a chance to see the mudding and helipads in the last episode of Keeping Up With The Kardashians? I call this deliciousness for my eyeballs and they should know that I aspire to be at a level where I can decide whether or not I want a helicopter in my back yard. Lol. Any who, Kourtney and Kim stepped out in sunny New York City in a Kardashian Kollection for Sears jumpsuit and a two-piece dress this afternoon while heading to a press event with sister, Khloe. Showcasing her tiny baby bump, reality star Kourtney rocked the floral trend in this Summertime look that flatters any body type while sister Kim embraced the two-piece trend flashing her post baby tight stomach. You can get Kourtney's look right now at Sears and Kim's look will be at Sears shortly. Keep and eye out for it and be sure to follow @searsStyle on Twitter. favorite sunscreens of all time. Speaking first hand about it, I just want to tell you that I have sensitive skin and this bad boy never stings my face. It also dries clear and leaves the skin looking so moisturized that it actually gleams, almost as if you just applied an oil. The formulation has tons of good-for-you ingredients that can be found by clicking here. While Extrashade does cater to rich complexions, it's perfectly fine to use if you're a Casper the Ghost as well. Tired of looking chalky after applying sunscreen to his complexion, Extrashade's owner Anthony went on a mission to create a product that suits every single complexion known to man. Cancer, as you all know, does not discriminate and several misconceptions still exist in the beauty world. Furthermore, a common complaint that I'm constantly hearing about at beauty counters is women trying to fix their hyperpigmentation. While I do my best to address their concerns, the plain and simple fact of the matter is that they could avoid buying all these costly products if they just wore sunscreen in the first place. There's also uproar with a common skin lightener hydroquinone that you should research here, here and here. My point is that doctors are still prescribing even the more potent doses (4%) and they could be contributing to cancer. Walk down any skin care beauty aisle and you can find 2% readily available for purchase. The entire situation amazes me with non-amazement. Europe banned it long ago, by the way. If you actually have hyperpigmentation, check out kojic acid, licorice extract or Vitamin C instead. Kojic acid can be found in the Pur Minerals Get Bright Serum as well as the Mario Badescu Whitening Mask. Vitamin C can be found in this sunscreen as well. It's okay. You can thank me later for my rant, once you've seen your spots lighten without causing you chemotherapy. Holler. Anyway, my point is avoidance and sunscreen is key to maintaining a completely envious complexion.
" Everyone should wear sunscreen especially people with darker skin tones because of the inherited uniqueness of melanin that give naturally tan and radiant skin. The very thing that makes darker skin tones unique – melanin, is the primary challenge of maintaining non-hyperpigmented skin cause by UV exposure. Sunscreen is the simplest and the most cost effective way to maintain healthy and great looking skin. To keep your skin looking great, use your broad spectrum sunscreen daily. Daily Defense Hydrating Sunscreen Lotion SPF30, supported by hydrating properties of hyaluronic acid and powerful antioxidant of pomegranate, moisturizes and softens as it forms a protective layer over your skin. Thanks to that layer and its high vitamin C content, improves your skin’s texture as it provides broad spectrum protection and repairs discoloration." There you have it, friends! Enjoy the sun, but enjoy it in some sunscreen. Healthy skin is smart, stylish, fashionable and most importantly beautiful.